Here are ways you can help prevent gun violence in Connecticut. Get call-to-action alerts, notices about educational events, press conferences, legislative activity and rallies, and news about gun violence prevention in Connecticut. Subscribing to our emails is a great way to learn what you can do to advocate for stronger gun laws. Contacting your legislators is one of the most important actions you can take for advancing our legislative agenda. Let them know how you want them to vote and why it’s important to you. And thank legislators when they support our agenda. Create awareness, educate and drive action for gun violence prevention by hosting an informal gathering of friends or a community group—in your home, a community center or house of worship. CAGV will present, answer questions and lead a short call-to-action activity at the end. 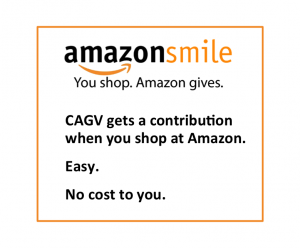 Many states have organizations similar to CAGV who need local supporters just as we do, ask your friends and family to sign up with them. It’s especially important in conservative states where lawmakers don’t support common-sense gun laws. CT Against Gun Violence is the only GVP organization focused solely on Connecticut. Your gift of any amount makes a difference. More than 2,500 children and teens are shot unintentionally each year, mostly in the home. Ask if there’s an unsecured firearm in the house before sending your child to play. Go to askingsaveskids.org for guidance. If you know someone with access to firearms who may be at imminent risk of harming himself or others, call your local police station, or the state police, and ask them to initiate a “risk warrant” investigation. Anyone can call, you don’t need to be a family member. CAGV has rated the candidates for the 2018 election. Check out the candidate grades and endorsements here>>.